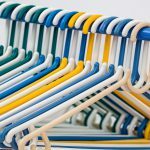 I’m not sure where it started but from Goodwill to Eddie Bauer, the third week of March has been celebrated as National Clean Out Your Closet Week. With one week to go, let’s see what it’s all about. In 2015 Forbes reported a Bureau of Labor statistic affirming that, in 1930, the average American woman owned 9 outfits. This, as opposed to the current day figure of 30 outfits – one for each day of the month. In September of 2016 Redbook Magazine published results of a survey they took of 1000 of their subscribers asking them to name their top 3 types of clutter. The winning, most-cluttered spaces were junk drawers, overstuffed closets and paper piles. While the act of actually purchasing things can be very gratifying, even uplifting, the feeling of joy at these times are akin to an adrenaline rush or quick thrill. The reality hits only after the fact. Each new possession is a new responsibility – the latest asset that requires care and an allotment of actual physical space. 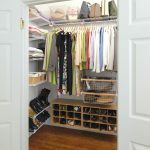 In addition to this spacial congestion, contemplating and processing the variety and abundance we face upon viewing our overcrowded wardrobes adds a neurological strain. We end up starting our days overwhelmed before we walk out our front doors. 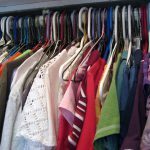 Here it is – the perfect time to tackle what may be one of your most irksome pet peeves – National Clean Out Your Closet Week. But having a week devoted to the issue doesn’t make it any easier to address. Well, no worries. I am going to give you three simple steps to get you started. Use it or remove it. Start with empty hangers and boxes that take up space for absolutely no reason. 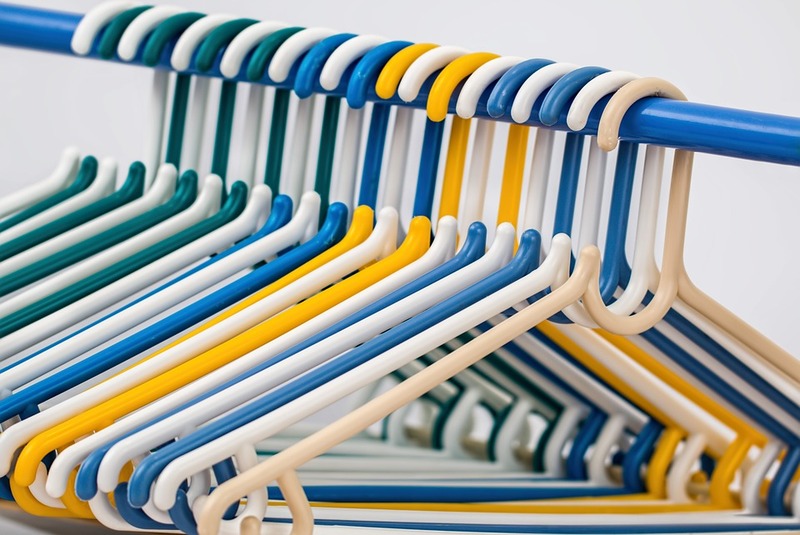 A dozen empty hangers can take up to a foot of space on your hanging rod. Then begin at one end and review each garment. Remove all items that can be tossed or donated; toss the trash and label the rest in bags for donation. Divide by Season. 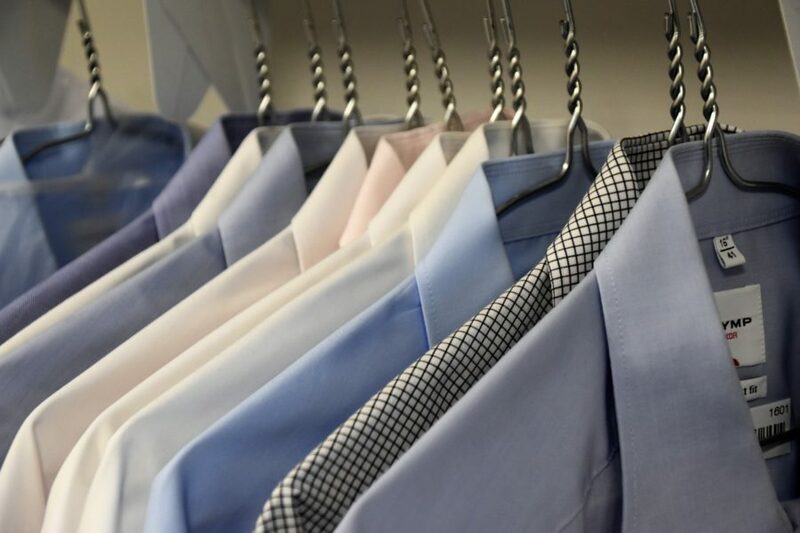 Unless your entire wardrobe is versatile for year-round use, there is no reason to keep all of your clothing at hand in your closet all of the time. Separate items you are keeping into two seasonal categories: Fall/Winter and Spring/Summer. Keep the current half at hand in your closets and dressers. Store the other half in plastic bins or space bags. Take advantage of this seasonal switch to purge items that you no longer want before storing the rest. Color Coordinate. Okay, I will admit that this may sound a little “organizer”-geeky, but try it out before you scoff. Imagine you are looking for your favorite pair of black pants. The ones that fit just right and aren’t too long or short. Do you have to go in between all your tight spaces in your closet to find them before realizing they are at the cleaners? Not if your closet is color coordinated. You will simply go through a section of black pants. Not there? Then they are in the laundry. Need to put together a quick outfit? Easy to do when your eyes are simply matching colors and not hunting between randomly hung, tightly crammed fabrics. 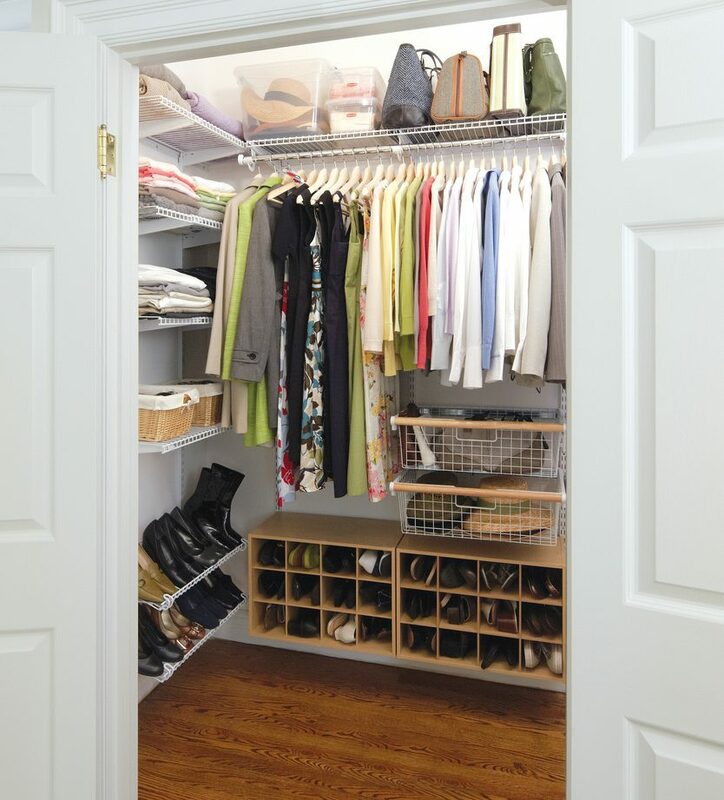 Take the time to clean out and organize your closet and start your day with a feeling of peace and control. Your closet will be the first empowering confidence boost of your day! How can All Right Moves help? 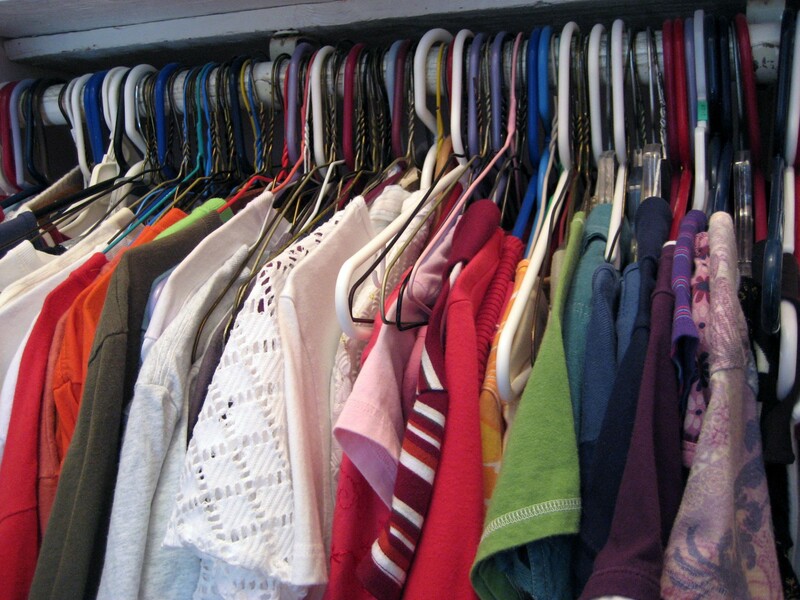 Have you been struggling with managing your closet for years? 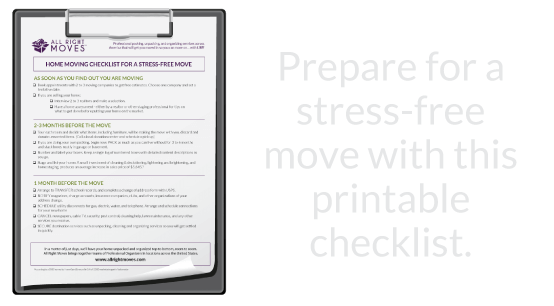 A relocation is a great time to start fresh. 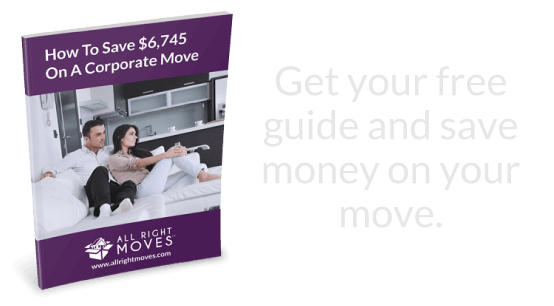 All Right Moves can send a team of professionals before your move to help you make some of these decisions now. With our teams’ assistance you can prepare to show off the spacious comfort of your home and closet storage spaces to potential buyers. Upon arrival, an All Right Moves team can be there at your new home to quickly unpack and get your closets well organized right from the start. Your success is our goal!